Award-winning Catch and Release and the new sequel Hook, Line & Sinker are continuing stories of Jennifer Blade and Steve Sanders as they pursue action-packed adventures together. As a former undercover FBI agent, Jennifer learned how to handle life no matter how it presented itself. 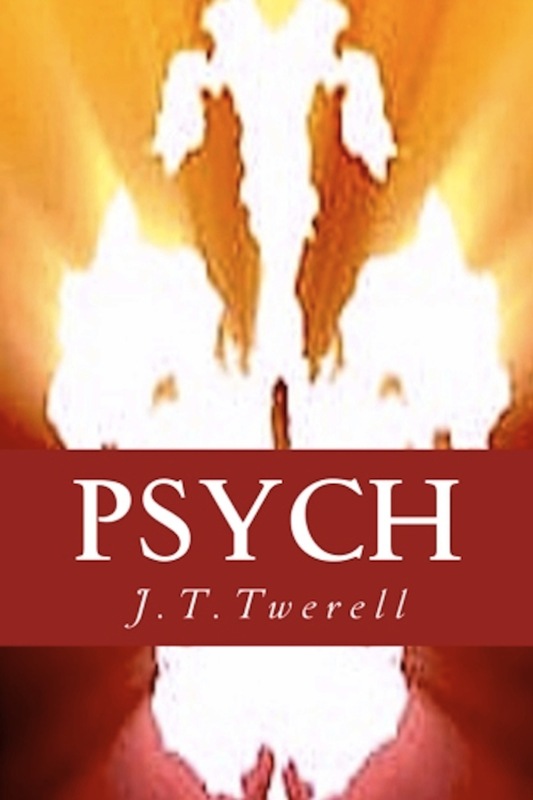 Steve, a laid back psychologist, finds his love affair with Jennifer to be an unexpected adventure into survival. 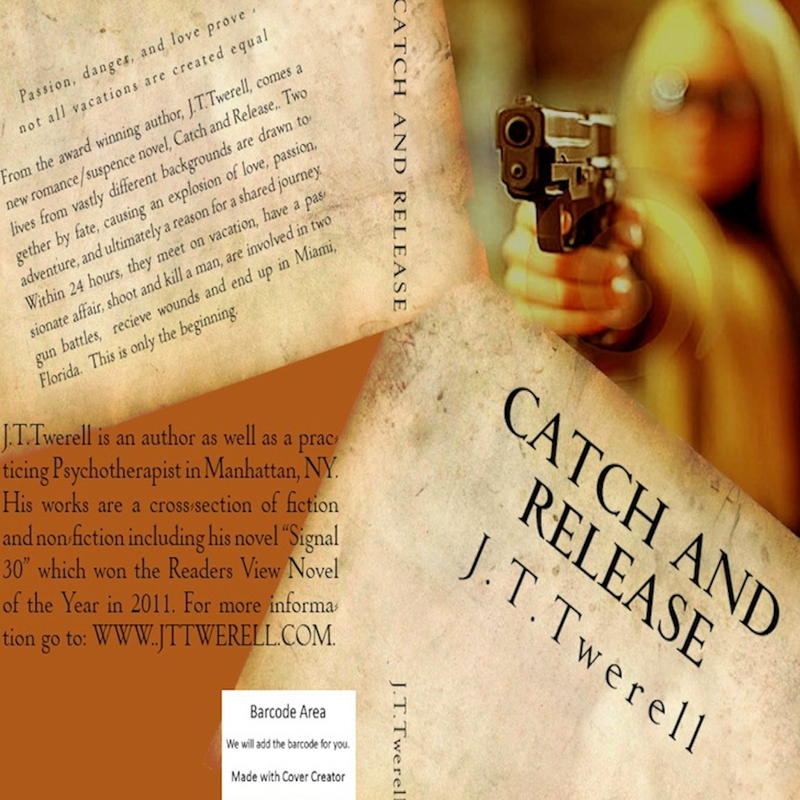 Writers Digest Review say: Catch and Release by J. T. Twerell is a great read for those who like fast-paced tales of international intrigue. 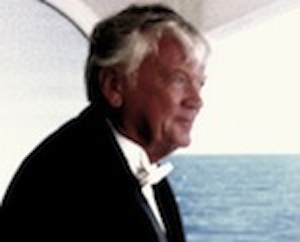 The story grabs the reader from the very beginning, putting the reader into immediate action. Catch and Release, a 76,000-word romance/suspense novel, is the story of two lives from vastly different backgrounds, drawn together by fate and a common love of the great outdoors. The crossing of Jennifer’s and Steve’s paths releases an explosion of love, passion, adventure, and ultimately a reason for a shared journey. Within 24 hours, they catch a few trout, have a passionate affair, shoot and kill a man, are involved in two gun battles, receive wounds, and end up in Miami, Florida. All this, and as Steve says, they still have six days of vacation left. Their relationship touches long-buried feelings in Jennifer, and shatters the mundane existence suffocating Steve. Romance and intrigue drive the fast-paced plot. As in a John Grisham novel, the reader is led into an empathetic rapport with the book’s unsuspecting heroes. Like a Lee Child story, the unexpected is always around the corner. In a quiet suburb of New Jersey, a 12 year old girl returns from Christmas vacation and finds an unopened gift at her front door. In the excitement and exuberance of a young child, she opens it to see what is inside. The early evening is shattered as the gift explodes and begins a tangled search for the person who would send this destructive present. Suddenly, other devises show up at a shopping mall in New Jersey, the Holland Tunnel in New York, and the home of the Mayor in a nearby town. Detective Brendon Murphy, a 40 year old senior officer with Special Case Investigations, is thrown into the maze of confusion, and attempts to sort out the facts before the perpetrator strikes again. While his personal life crumbles around him, as his wife informs him of her decision to pursue a divorce, Murphy finds assistance to his problems with the arrival of Stacy Landou, a 38 year old attractive woman who is a Special Agent with Alcohol, Tobacco and Firearms. The case becomes more complicated when the local press begins to hound Murphy and suggests he is failing in his investigation. With Brendon’s career, marriage, and reputation seemingly out of control, the bomber continues to move one-step ahead of the investigation. 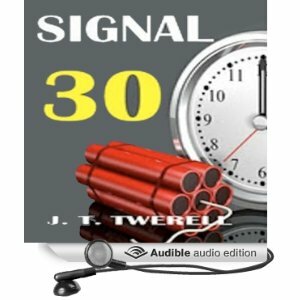 Signal 30, the police designation for crime scene with explosive devises, is a riveting mystery that takes the reader through the intricacies of a major crime investigation filled with the terror of the unknown path of an insane bomber. This mystery and suspense novel reads similar to a John Grishom story, as the overburdened hero leads the reader into an empathetic and captivating relationship while, as a Lee Child novel, the unexpected is always around the corner. 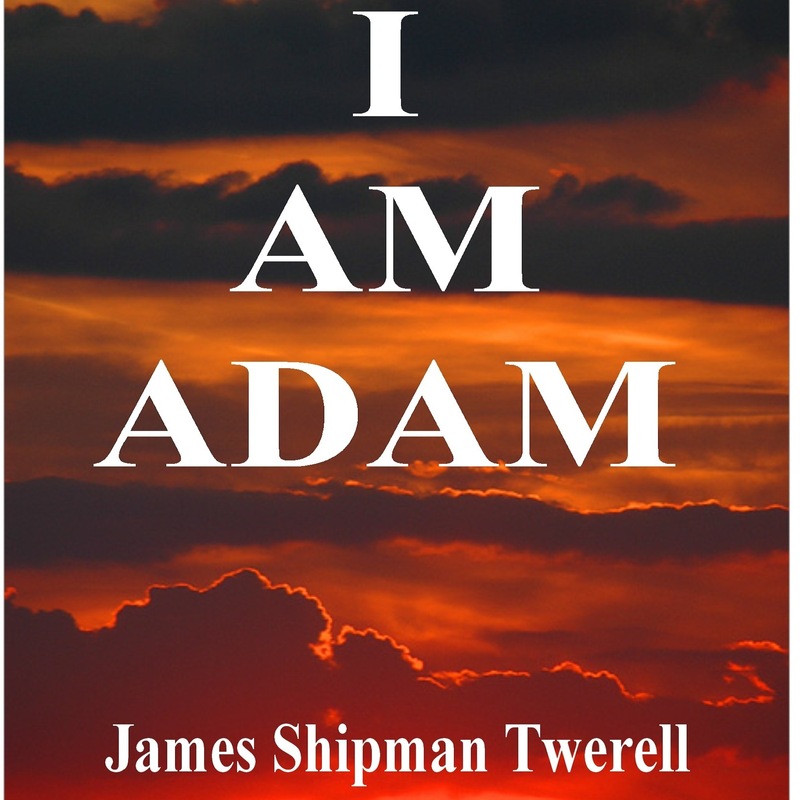 The exciting novel, I Am Adam, is part of a chronicle concerning a mystical figure known as Domatarious. A Spiritual Guide, Domatarious has the responsibility to preserve the truths of the Power of Love and Light within a new species known as humans. In the book I AM ADAM, we are introduced to the new human creations as they experience love, joy, fear and the destructive power of the ego’s shadow.